On the eve of National Women’s Equality Day, let’s celebrate highly regarded American female artist, Georgia O’Keeffe and one of her many masterpieces, Blue and Green Music. 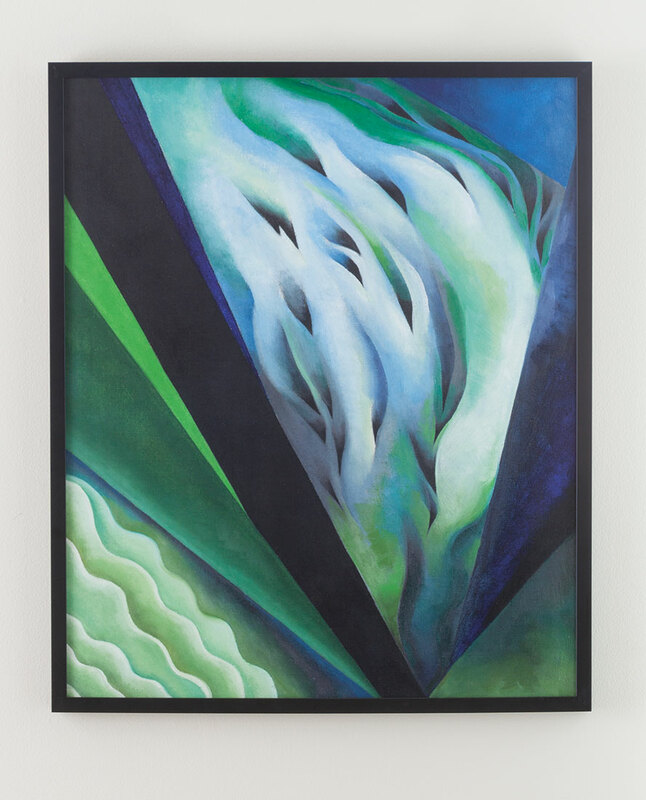 Born in 1887, O’Keeffe is known for her large scale compositions, hypnotizing interpretations of natural forms, and boldly innovative art. With Blue and Green Music, she experiments with the theory that music can be translated into a visual form. Clearly, this experiment is successful with how the rhythm and flow of the piece evokes the experience of sound. Our framed reproduction captures the vibrant colors and organic movement of the original, which can be found in the Art Institute of Chicago’s permanent collection. Click here to purchase Blue and Green Music.